Rt 340 at Limeton looking west toward Shenandoah National Park. 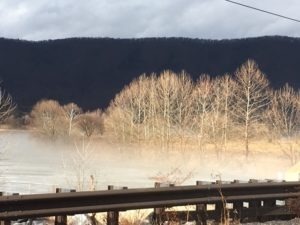 VDOT’s proposal to widen Route 340 to four and five lanes in 1999 endangered scenic viewsheds, Civil War battlefields, productive farmland, community identity and a growing heritage tourism industry. 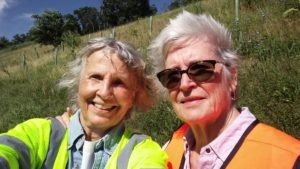 For more than a decade, Scenic 340 members were deeply engaged in the transportation planning process, promoting alternatives guided by Context Sensitive Solutions. Thankfully, VDOT abandoned the harmful plan, opting instead to replace four bridges in need of repair. Scenic 340 advocates for aesthetic and environmentally sensitive design in the bridge projects. The Scenic 340 Project promotes the voluntary protection of working farmland, forests, and historic resources. 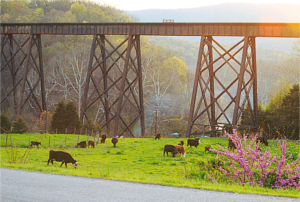 The 20 miles linking Front Royal and Luray is rich with historic and scenic lands. In 2010, the Route 340 corridor of the Page Valley was designated a Special Project Area by Virginia Outdoors Foundation. The Department of Historic Resources declared the same area “eligible for listing as a Rural Historic District.” Landowners here have protected more than 2,300 acres with conservation easements, providing a critical wildlife travel corridor linking Shenandoah National Park and George Washington National Forest. 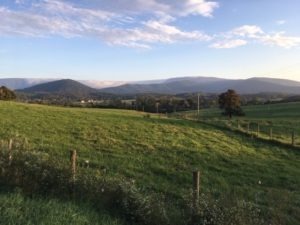 With an eye to encouraging more conservation easements along the South Fork of the Shenandoah, Scenic 340 Project initiated a purchase of development rights (PDR) program in Warren County. 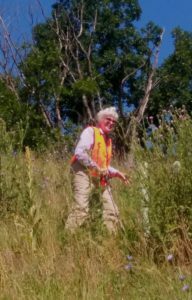 The first landowner in the program recently completed a conservation easement, protecting 50 acres on the river. 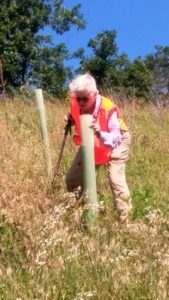 Volunteers with the Scenic 340 Project have planted more than 500 native trees and shrubs along Route 340 since 2016. 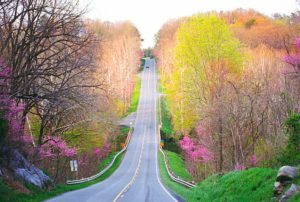 Prior to VDOT’s replacement of the Overall Creek and Gooney Creek bridges, there was a spectacular canopy of redbuds through the corridor. Sadly the trees had to be removed for the road project. Thanks to Scenic 340, however, native trees and shrubs will soon restore the corridor to its former glory!